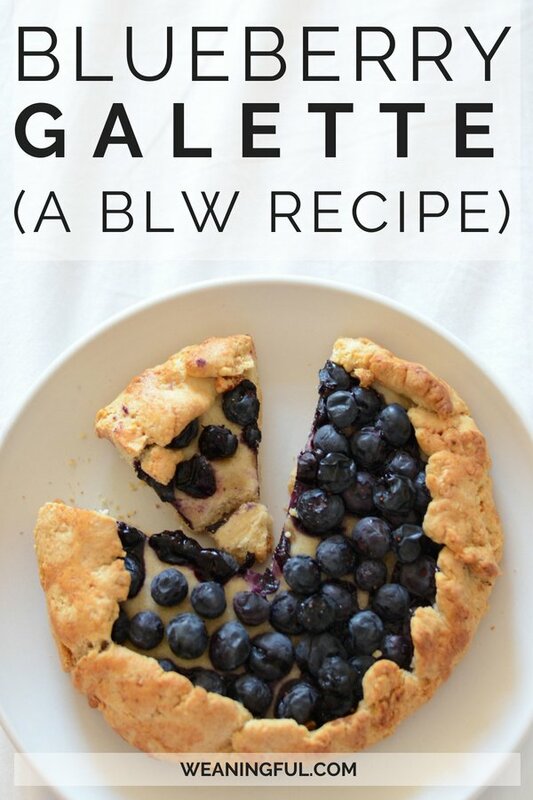 I love how the French take something simple like a blueberry pie and turn it into a blueberry galette, which looks so rustic, yet so delicious. And you know it’s going to taste good, even before you take a bite. 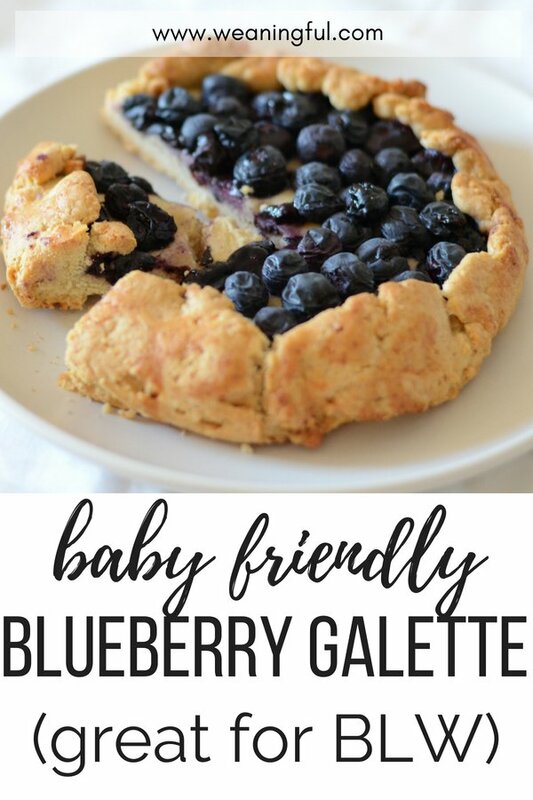 The blueberries on top can be easily replaced with other berries of your fancy (or others, like peach, rhubarb, plums etc) and the dough is slightly crumbly, but manageable by tiny hands. 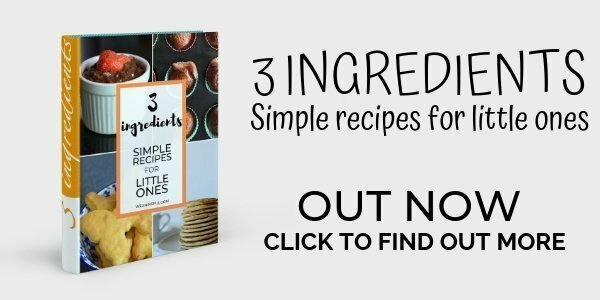 It’s a type of shortcrust pastry, if you wish, so feel free to adapt the recipe if you have a shortcrust combination of ingredients that works for you. This recipe makes use of ground walnuts in the dough, but I tweaked it and used ground almonds instead. Feel free to experiment with it and don’t be afraid to change things. The base recipe turned out a bit too crumbly for me in the beginning, so I had to add more flour and a bit of water to make it stick together a bit more. 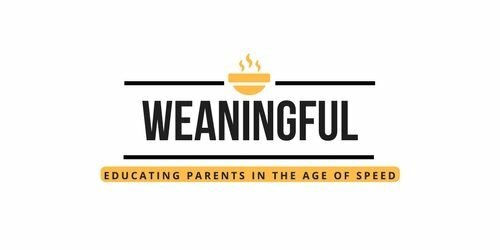 This is a no-egg recipe, perfect if your little one has an allergy. 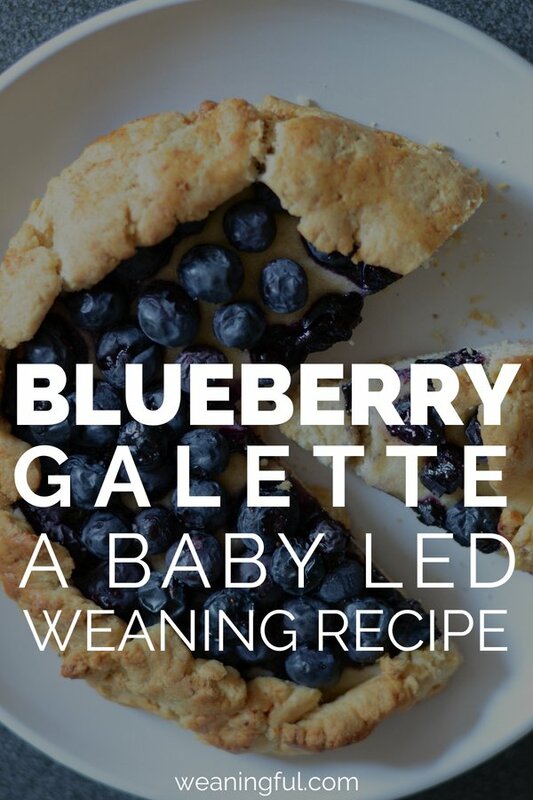 This blueberry galette recipe can definitely be included in the sweet category, but it can also be made with savoury ingredients, like Cheddar, ham, zucchini and ricotta and so on. I have served it for two consecutive mornings and it kept well at room temperature. It was still soft enough to chew. 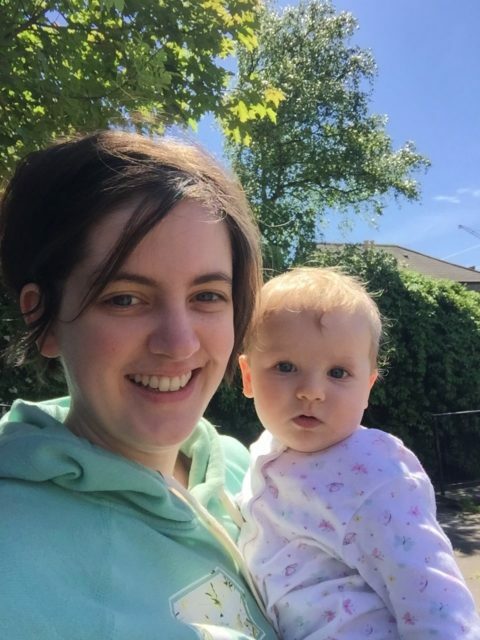 Let me know in the comments if your little one liked it, how and if you tweaked the recipe and pin it or share it on social media for others to see it too! 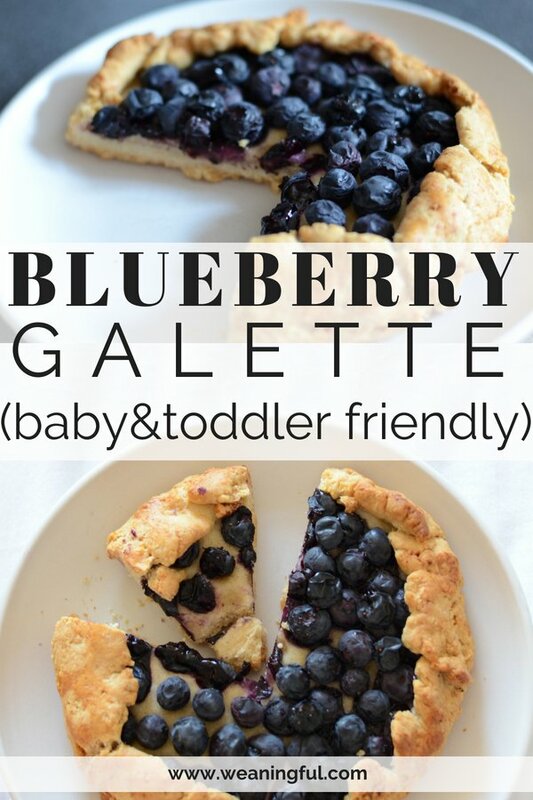 This blueberry galette is the perfect summer treat for your little one, great for breakfast, as a snack or as a dessert. (Optional step) Roast the walnuts for 10 minutes in the oven, turning halfway through. Grind the nuts to a fine powder (leave them to cool down if roasted). Then add the flour and half the cinnamon and grind some more. Add the butter and mix until you get a breadcrumbs like consistency (you can put the butter for 10 minutes in the freezer beforehand if you like to make sure it is cold enough). Transfer everything to a bowl and add 3 tablespoons of very cold water. This is where you need to judge if the dough needs more flour if it's too wet. Once it all comes together nicely, rest the dough for at least 1 hour in the fridge. After the hour is up, roll the dough nicely, not too thin. You may need more flour, as the butter starts to melt. Transfer it to a baking tray lined with baking paper (you can roll the dough directly on the tray to save some time). 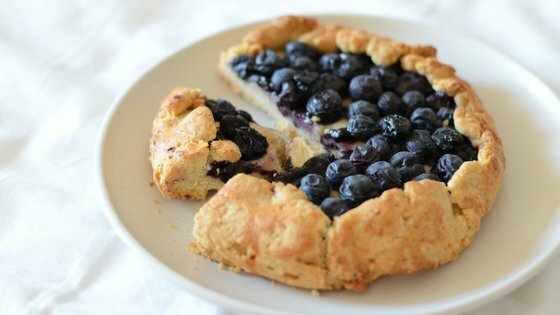 Sprinkle the lemon juice over the blueberries, then lay them on top of the dough, right in the centre, leaving about 4 cm from the margin. Start folding the galette dough from the margin inwards. Sprinkle the rest of the cinnamon over the edges of the galette. Bake for 40 minutes at 180 C (fan)/ 200 C (electric)/ Gas mark 6/ 400 F, until nicely browned.